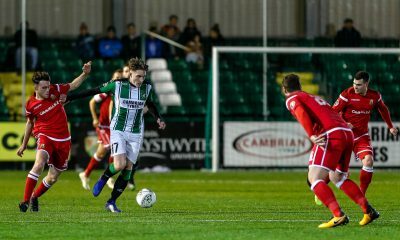 ABERYSTWYTH Town continued their surge towards a UEFA Europa League Play Off Spot by coming from behind to take all three points at Llandudno on Friday (Mar 22). Goals from Ashley Ruane and yet another stunning strike from in form Geoff Kellaway made the difference after Les Davies had given the hosts the lead in first half injury time. 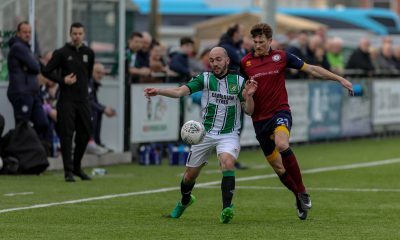 The result sent Aber to the top of the JD Welsh Premier League Play Off Conference, but Cardiff Met’s win on Saturday sees them return to the top. 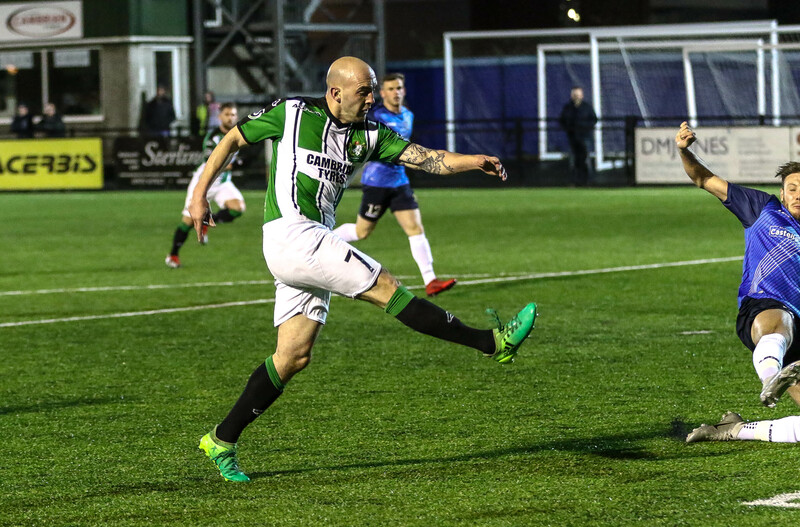 On a drizzly night the visitors kicked off with one change from their win over Carmarthen Town last time out, with Terry McCormick replacing Adam Walters in goal, and he proved to be a busy man as Llandudno enjoyed long periods of pressure throughout the match. Davies clipped an early shot wide and then a deflected shot from George Harry brought a great stop from Town’s experienced netminder. Marc Williams sent in a cute ball which Ruane glanced against the post with a header for Aber, and Kellaway had a shot blocked but then back came the hosts and McCormick came out well to deny first Alun Webb, and then Danny Hughes in a one on one. Kellaway released Ruane on goal but Aber’s striker couldn’t quite find the right angle, Les Davies had a shot deflected over and then back up the other end a surge from Ryan Wollacott earned Aber a corner, from which Matty Jones found Paolo Mendes’ head, only for home keeper Shaun Pearson to hold his goalbound effort. Then two minutes before the break Llandudno grabbed a deserved lead when Davies headed home directly from Sameron Dool’s corner, and Aber were up against it at the break. The hosts started the second half striving for the killer second to sustain their quest for safety. Alun Webb curled wide from a good position, then McCormick did well to catch Harry’s lob, but the knife-edge match turned six minutes after the break when Wes Baynes’ superb deep cross found Ruane at the far post, and he headed home an equaliser. With both sides now needing a win for different reasons the game opened up into a thrilling and nerve wracking encounter. Dool was flagged offside before he could put the hosts back into the lead, before Baynes’ goalbound free kick was tipped over the bar by Pearson with a superb save. Aber were now finding some rhythm to their game with some good passing moves evident going forward. 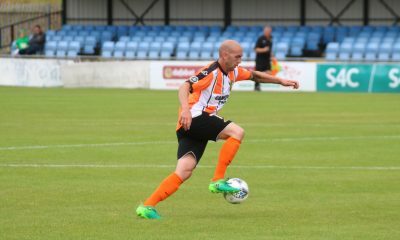 Jones’ corner to the edge of the area was curled wide by Ryan Edwards, then Man of the Match McCormick again denied Webb. Then half way through the half came the key moment when the peerless Marc Williams found Kellaway down the left, and he unleashed a vicious volley which sneaked inside Pearson’s near post for yet another Goal of the Month contender, thrilling the vocal visiting fans so much that they rushed down the touchline to celebrate with the players – a la Malcom Melvin two years ago. In a lovely move Kellaway then played in Ruane in a great position, who squared for Jones, but in vain. Llandudno were now desperate for a score and enjoyed long periods of pressure, free kicks and corners galore but the visitors held out stoutly, with Declan Walker, Wollacott and Mendes all earning their corn. Ruane headed over another Baynes cross but at the other end Mike Pearson headed over from a great position, as did Harry from Steve Thomas’ later. Aber threatened a third on the break when Kellaway dug out a cross for Williams, who headed just wide, then sub Jamie McDaid pulled out some super trickery down the right only for the chance to go begging. 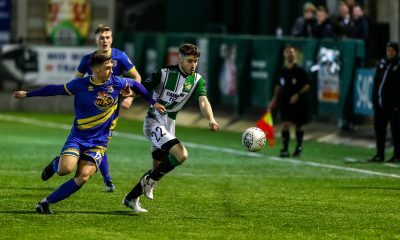 Pearson came up for an injury time corner and was almost caught out as Aber broke, but McDaid’s lob from distance somehow bounced over the bar: but it did not matter, as Aber held out for a fifth win in five. 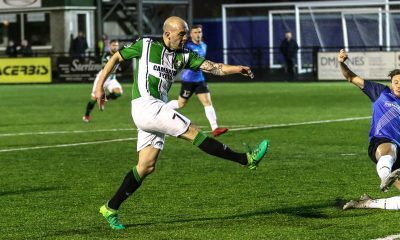 Without being at their brilliant best last night Aber did what needed to be done to win a tight game, and they now have earned 13 points from 18 possible since the split, returning to form in spectacular fashion since their Xmas and New Year slump. 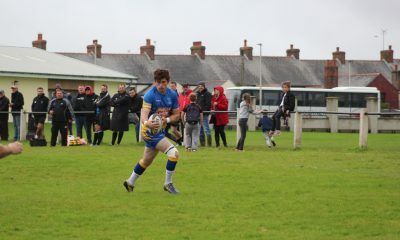 Town’s next date with destiny is on Friday, April 5, at home to Llanelli.